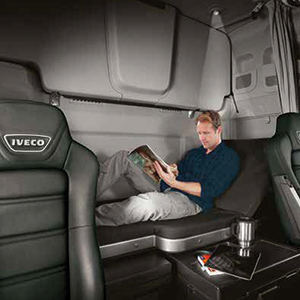 The new IVECO Stralis 460 NP is equipped with a 460 HP Engine and was specifically developed for long-distances. The new IVECO Stralis 460 NP is available in 6 x 2 and 4 x 2 configuration and uses LNG (Liquified Natural Gas) and CNG (Compressed Natural Gas). The advantages offered by Natural Gas technology are numerous, both from the environmental and economic sustainability point of view. Switching to Natural Power should cut your fuel bills by around a third, depending on the fuel you are running and the type of work you carry out. The Stralis NP tackles the challenges of greenhouse gases and pollution in freight transport with its Pure Power. It maximises the environmental advantages of natural gas and biomethane, the eco-friendliest fuel for internal combustion engines. The Stralis NP’s performance is due to the combination of the following factors; up to 15% improvement in fuel consumption versus equivalent diesel trucks, natural gas is cheaper than diesel in most European countries, a maintenance-free and AdBlue free aftertreatment system and a long maintenance interval of 90,000 km. The Stralis also benefits from the following assets; Driving style evaluation, Hi-Cruise integrated drive system, ADR 2017 compatibility (FL+AT), Cursor 13 up to 460HP, Silent mode at 71 decibels perfect for urban operations and night-time deliveries, new light-weight LNG tank brackets, double LNG tank configuration for a range up to 1,600km, Tyre pressure monitoring system, low friction rear axle, Hi-Way 2.5m wide cab, Eco mode, new Hi-Tronix gearbox (12-speed), new catwalk, customisable CNG and LNG tank layout, Hi-Mux, 3,800 mm wheelbase 100% available for LNG tanks for unparalleled range, latest generation A label Eco-Tyres and new LED rear lights. For lasting fuel economy, Stralis NP features advanced telematics solutions that allow you to not only precisely follow the fuel consumption of your fleet but also to monitor your drivers’ performance and improve their driving skills where they need it most. 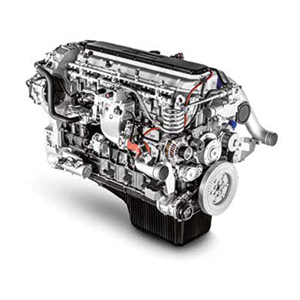 The new Cursor 13 NP engine delivers the same power and torque output as the Euro VI diesel engines currently adopted for national and international transport. It breaks the previous record performed by the Cursor 9 NP with 18% more torque, 15% more power and best-in-class power to weight ratio. It increases performance and enables the widest fuel compatibility. 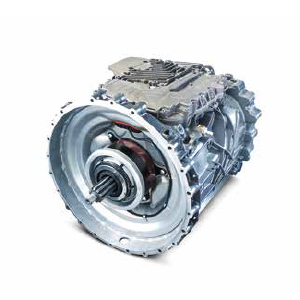 Equipped with the new Hi-Tronix transmission, this new-generation, 12-speed automated transmission with electronic clutch offers the most advanced technology in its category. With additional functionalities, such as a rocking function to recover grip on low-adherence surfaces, 4 reverse gears and a new offer of PTOs. The Stralis NP has been designed around the driver for long-distance applications; with close to zero in-cab noise and vibrations, fast and intelligent automated gearboxes, perfect driving ergonomics and high-end infotainment equipment. Whether you opt for compressed natural gas (CNG) or liquified natural gas (LNG), switching to gas will improve your carbon footprint as it is cleaner and less harmful to the environment than diesel.